Southern charm meets urban resources. The Queen City is calling all investors! You dream of a place where tree-lined streets and craftsman-style homes blend together with an aggressively growing economy. WELL WAKE UP! This investor’s dream is a stunning reality. It’s Charlotte. Charlotte’s central access to MORE THAN HALF of the nation’s 51 metropolitan markets has positioned it to emerge as the financial, distribution, and transportation center for the entire urban region. It’s the only major distribution center midway between the Northeast, Midwest, and Florida markets. Oh, and did we mention it has become the second largest banking center in the United States? 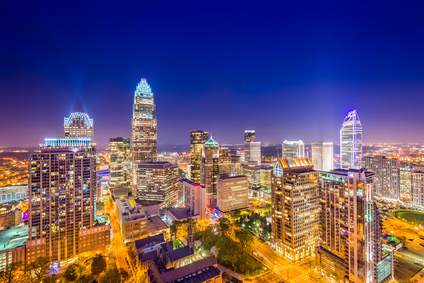 For all these reasons and more, Charlotte is ranked as the second best business climate in North America. Major corporations have taken note, with 291 of Fortune’s top 500 companies calling Charlotte home. If you look to the city skyline, you’ll see FIVE new skyscrapers under construction. All that business means more people, and people need a place to live…THAT MEANS CASH FLOW FOR INVESTORS. Charlotte attracts a wide range of age groups and demographics. It ranks #8 on the list of cities most moved to by millennials. It’s also the 5th top moving location for retirees. Got kids? No problem. Charlotte comes in #7 on the list of best environments for families. Basically, everyone is moving there. It was the #1 destination for one-way moving truck rentals in 2016.